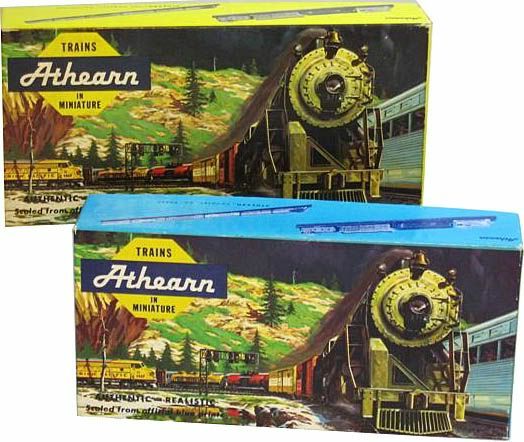 For the model railroad enthusiast, Athearn ranks among the most well known and respected names in hobby. Athearn has a long history in the hobby and the company has seen numerous changes through the years. For many of my other sites, documentation was scare and unavailable. Athearn has enjoyed at least two reference books, "Greenberg's Guide to Athearn Trains" and "Standard Guide to Athearn Model Trains," and therefore has prior research and documentation available prior to my online effort. That said, an Athearn site is among the most requested additions I receive. My interest, coupled with the inquiries, has brought me to the creation of the following pages regarding Athearn. My goal is not to simply recycle material and information found elsewhere, but to selection an area of Athearn interest and focus and expand upon it. Having grown up with Athearn kits in the 1970s, it is this period of the company's production that you'll find the focus, examination and review of my site. No information is presented here regarding Athearn's metal HO- and O-scale kits that pre-date the injection molded plastic kits of the mid 1950s. On the other end of Athearn's history, there is only basic information regarding Athearn's offerings beginning with the SD40-2 in 1982 and the move to scale-width hoods and other changes. In general, the menu here is the classic wide-body locos and blue box kits that were plentiful across hobby shop shelves from the late 1960s to the 1980s. Though I was not present in the hobby, the period of 1955 up to the 1970s is covered as it is the foundation that established Athearn's line. Just what year was the Pickle Car first released? Which is older in Athearn's line the Baldwin S-12 or SW1500? What were the original roadnames offered on the GP35? This and more is presented and illustrated here. This, as with my other sites, is an on-going and growing work. New pictures and information will added as I locate and learn. I hope you will enjoy your vist and invite you to return again in the future to see what's new. The pages on this site follow a design that presents each car or locomotive with a picture, followed by the name of the item, roadname, and stock number(s). Please note, for ease and speed of browser loading I have kept the images to 500 pixels wide or smaller. A larger image for better viewing is often available. To gain access to the larger images, you may click on the smaller image and the new big image will open in a new window. Please remember to set your browser to accept this command, as some will flag the auto opening of a new window and refuse the request, keeping you from seeing the large picture. A goal of this work is to present an online color image reference for the enjoyment of hobbyists and collectors. Odd variations and/or mistakes are not considered the focus. Additionally, special run for clubs or conventions are not covered. 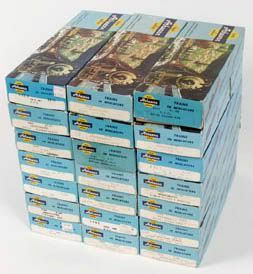 Nor will you find listings and images for releases using Athearn items from companies like Bev-Bel, Rail Runner, or others. These mentioned situations are well beyond the scope of my effort here.